I thought I would post some things that have helped me through my home school experience. I have been home schooling for 10 years now. I currently have a 9th, 7th, 5th and 3rd grader. I started out going to a friend’s house and looking at her curriculum. I had NO clue about any curriculum, so I needed all the help I could get! I ordered my books, or should I say kit, because it was all I needed for the school year. At this point I only had one starting Kindergarten. My other daughter was only 2 1/2. I received my books in the mail and was eager to get started! We started our Kindergarten year and I found we got done with our day rather soon! I decided to add other classes, like recorder and a Spanish book I found teaching colors and numbers. I was involved in a co-op and my daughter took some classes there and then she had her Wednesday evening church program. We also went to various local home school programs in the community. There were a ton to choose from! This kept us busy and it turned out rather well! At the end of the school year I decided I could do this again! I ordered next year books and went on with year two! This time I had a new baby and a 3 1/2-year-old. I would work around naps, when I could and try to keep the 3 1/2-year-old occupied while my 1st grader worked. I was still involved in the co-op so it gave her a variety of classes she enjoyed and interaction with other kids her age. My 3 1/2-year-old also enjoyed her classes. We finished our 2nd year successfully! The summer flew by and I was ready to start school again, but this time with a Kindergartener and a 2nd grader, along with a toddler and pregnant with my 4th! My 2nd grader seemed to go through her workbooks rather quickly and I was beginning to wonder if they were too easy for her! I started asking other home school moms what they used for curriculum and was introduced to Abeka. This curriculum was also a “boxed” set where I had everything I needed at my fingertips. This proved more challenging for her! 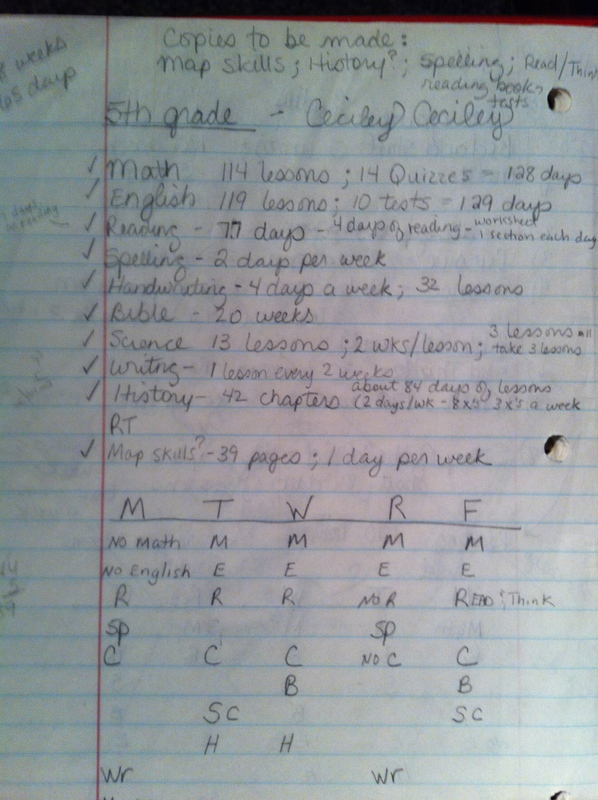 I was a stickler for finishing everything so it took longer each day to get school done. My daughter did OK with Abeka, but it seemed like a lot of memorization and busy work. I had used Alpha Omega with my new Kindergartener because I like the way it was laid out for her and continued to use Abeka for my 3rd grader and made a basketful of toys for my toddler to keep her busy during school. I also did some work during her nap time, though I would have LOVED to take a nap myself!! At this time we lived in a 900 square foot house with no basement so I had to come up with some creative places to school the girls. Our kitchen table was extremely small in our extremely small kitchen, so I had only one of my daughters sit and work there. But where could I put her books when she finished and where was I going to put our other daughter to work on her school work? I started searching online for a type of cupboard that I could have her do her work on and then close the door to hide all the school books and supplies when we finished. It took some time, but then I stumbled upon a sewing cabinet that would work perfectly for my need! It opened up into a table and had plenty of shelves to house textbooks, school & craft supplies and papers. I was so excited! I knew exactly what I wanted and now I had to find one to buy and get it shipped to me. One day I thought I would check out Ebay to see if they had anything close to what I wanted and, lo and behold, I found exactly what I wanted and in own Metro area! I couldn’t believe it worked out so perfectly! I bought it and my husband and I drove out, picked it up and he put it together for me! It worked out so perfectly for our small, tight area! We finally moved to a bigger house and I didn’t have a need for the cabinet any longer. I turned around and sold it on Craigslist for more than I originally bought it for! This nice couple came and picked it up and left me room in my new school room for desks for my girls! I found a desk on free-cycle for my daughter, emailed the post, she responded right back she had it and lived about 5 minutes away! I went and picked it up, repainted it and still use it today! Talk about blessings! Now we were in a bigger house, and I had four girls, two being home schooled, and a 3 and 1-year-old! I was kept pretty busy! I now had a Kindergartner, 2nd and 4th grader! I was going along pretty well and couldn’t understand why some moms struggled. I felt pretty good about myself that I had it “together”. I must have been meant for this…..As time went on I was directing a co-op of about 65 families, very involved in church and most activities there and homeschooling my girls. 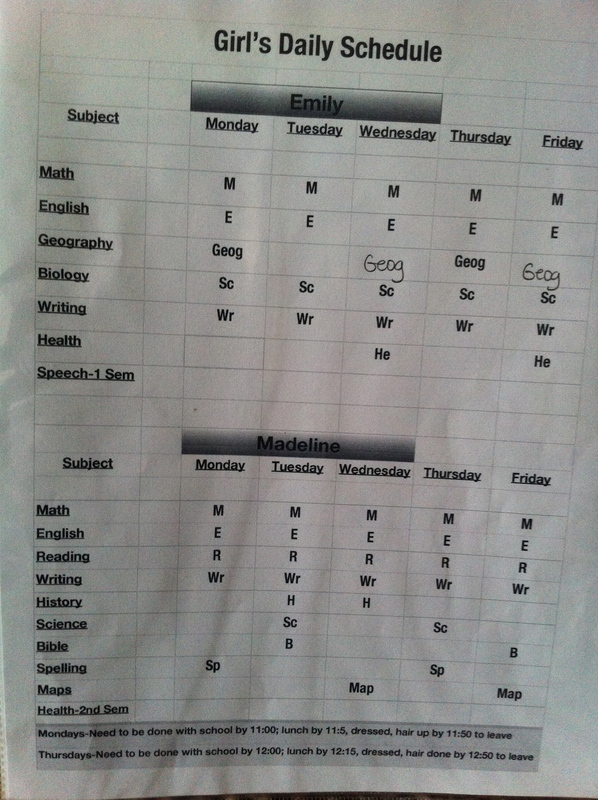 But, as my oldest went into higher grades, I found it more of a struggle to keep up! Abeka was NOT meant to be a ‘4 day of the week school’! I was trying to cram it all in to 4 days by doubling up and working our tail ends off! It seemed I got further behind making sure I gave individual attention to my oldest and would find she wasn’t always completing her work or just “rushing” through it! I was starting to get frustrated with her! We finished the year and I got a much-needed summer break. Soon it was time to start back and I still stuck with Abeka, this time for all three girls, because I was afraid to go ‘outside the box’. What if I didn’t teach them with curriculum that was good enough? It really scared me to try something different! At first, after crying with some friends, they helped me to lessen my load with a few of the trouble subjects. My 3rd grader was having difficulty with reading comprehension and really with reading in general. I bought the Hooked on Phonics program for her and started at the beginning. It was so fun to see it finally “click” with her reading! I was also told by a friend not to time my 3rd grader in her reading comprehension book. “Just have her read the story and answer the questions, don’t time her.” What? Not do what the curriculum asked me to do? It said to give her 4 1/2 minutes to read the story and answer questions about it! How could I NOT do what it said…was I somehow cheating my daughter out of achieving her highest potential if I just had her read and then answer the questions on her own time?? I gave in and stopped timing her and guess what? Yes, she started getting more answers correct than wrong! Hmmm, it isn’t just about getting the work done to finish it. It isn’t about following the curriculum’s guidelines to the “T” no matter how hard. It’s about finding your child’s learning style and working with it so they learn! I also stopped testing her in history and science and would only go over the information with her to make sure she understood it. By now I was starting to see that perhaps, yes perhaps, I could step a little tippy toe outside the box! I schooled one more year with Abeka and then decided it was time to make a change! I got this grand idea that since I had a wealth of knowledge in the co-op I was involved in, I would organize a curriculum night at a friend’s house. About 25 moms came, toting all the curriculum they used and loved, spread them out on a table for all to look at, question about, write information down and see if may work with their child(ren). It was an exciting night! I was introduced to so many new curriculum s! 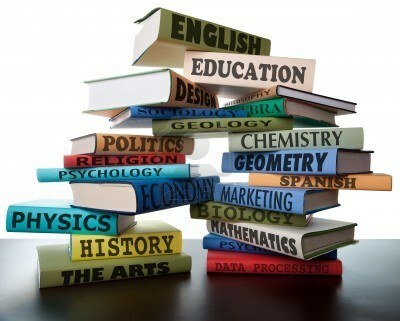 I took a giant step out of the box and decided to switch about all of my subjects for the following year! My girls were going to be in 1st, 3rd, 5th and 7th the next school year. I spent the summer researching and searching for the new curriculum I decided to use. Some of the subjects I decided to do with multiple kids at a time to save me time and sanity! I used Story of the World History for my two youngest and gave them the coloring sheets to work on while I read. I found books at the library if I wanted to go a little more in detail about what we were studying. I also used Google quite a bit to search for pictures and videos about places like the Stonehenge or how silk is made. It really cemented in their minds what we studied. I used Mystery of History with my two older girls. My 7th grader really loved it but my 5th grader had a hard time understanding it. The next year I did Story of the World with my three younger girls and they all loved it! My older daughter and I still did Mystery of History together. I also switched to Teaching Textbooks for math for my two oldest. Boy did that help me out! Abeka is a solid math program but it was so much work and grading I would get further and further behind! Having a math program that is self-graded helped me out immensely and they did very well in it! I keep my girls with Abeka Math through 3rd grade because it is a solid program but then switch them in 4th grade. I also switched to Rod and Staff for English. I felt it was easier to understand and it was explained more thoroughly. I sit with them and work on it together so I know right there and then if they have the new concept or not and it is graded on the spot too! It has a lot of busy work, but I have learned that we do NOT have to do all the problems! Have them do the first half and if they got them correct, obviously they know it and don’t have to do the rest of the problems! That works quite well for them!! It is also an incentive to work hard at learning the material so they don’t have to do all the problems! This year I do science (Apologia Botany) with my two youngest and my 7th grader and I are working on Earth Science together. My 9th grader is doing most of her work on her own and through a co-op. I really don’t have much I do with her. I do help her study for her tests, particularly Biology and Geography (she’s taking the on-line Abeka Geography class). I also have a teacher come to my house once a week and teach my two oldest writing…it’s not really my strong point!! Our school year the last 2 years have been so much more relaxed, fun and we even got done by the end of May instead of the 2nd week of June. I enjoy teaching them more now than ever before and am learning right along with them! If you have any questions about curriculum or home schooling, feel free to email me or send a comment and I will try to help you the best I can!